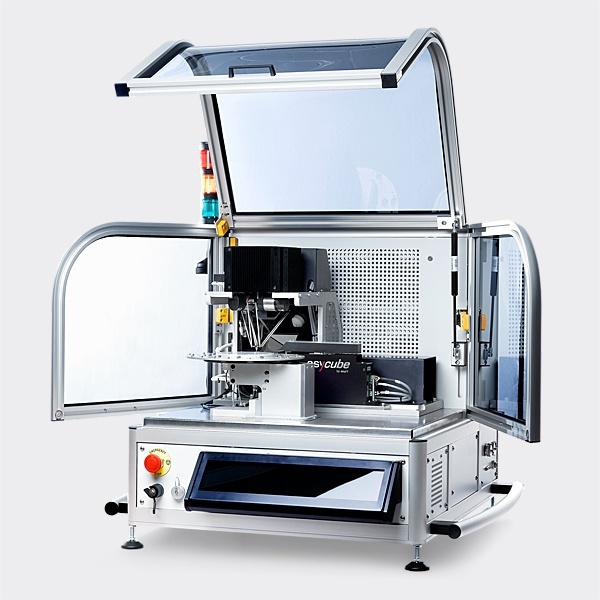 Asyril offers high performance flexible feeding systems for parts and components up to 40mm in size. Our innovative technology can handle bulk parts of any geometry and allows for extremely gentle part feeding. Asyril's special skill and focus represents our ability to combine extensive know-how and experience in the fields of vibration technology, industrial vision and precision robotics. This unique combination of capabilities enables us to deliver superior, innovative flexible feeding systems for today's and tomorrow automation challenges. All of their systems are Swiss made, ensuring superior product quality and customer service. Many of their internationally renowned customers have gained a lasting, future-proof competitive advantage and fast return on investment from our systems. We would be pleased to help you with your automation challenges. 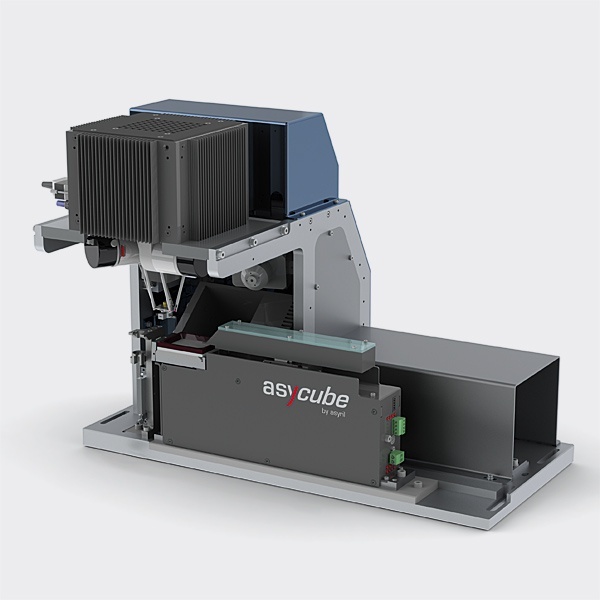 Our award-winning series of Asycube vibrating feeders offers optimal part feeding, orientation and surface distribution for subsequent manipulation of a near infinite range of parts and components. 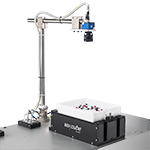 SmartSight describes Asyril’s intelligent visual part detection system, ensuring straightforward integration of any Asycube vibrating platform with any industrial robot brand. Comprising Asyril’s powerful visual part detection software, an industrial control PC as well as an optimally configured vision kit including camera, objective and all necessary cabling, SmartSight makes the implementation of high performance flexible feeding systems as simple as setting up conventional feeders. Asyril's integrated flexible feeding module represents a turn-key solution for the reliable, fast and precise feeding of a near infinite range of bulk parts and components. Asyril's integrated flexible palettizing station is a compact tabletop-system for the fast and precise sorting, palletizing and assembly of small parts from <0.1mm up to 15mm provided as bulk goods. The PocketDelta Robot comprises a parallel Delta-structure especially well suited for fast and precise handling and assembly of small components. 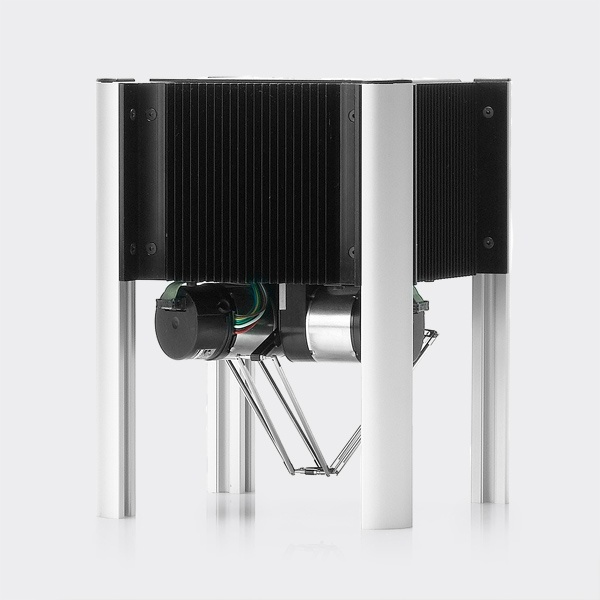 Interested in an Asyril Flexible Feeding Systems? Parts Feeding Application? Contact Us to Get Started!